The spirit of Britain in wartime music! The spirit of war-time Britain in music, sounds and song performed by the original artists. 1 CD. Over 1 hour playing time. All tracks restored and digitally re-mastered. A 23-track musical tribute to the bulldog spirit of the people of Britain by way of the morale bolstering songs, the inspirational words of Field Marshall Montgomery and Winston Churchill and even the stirring sound of a Spitfire flypast! No other album better evokes the optimism, achievements, sacrifices and memory of these 20th century heroes: the people of the home-front and front-line. Here are the songs and sounds to which they fought, suffered, courted, married and began new lives once the war was won. 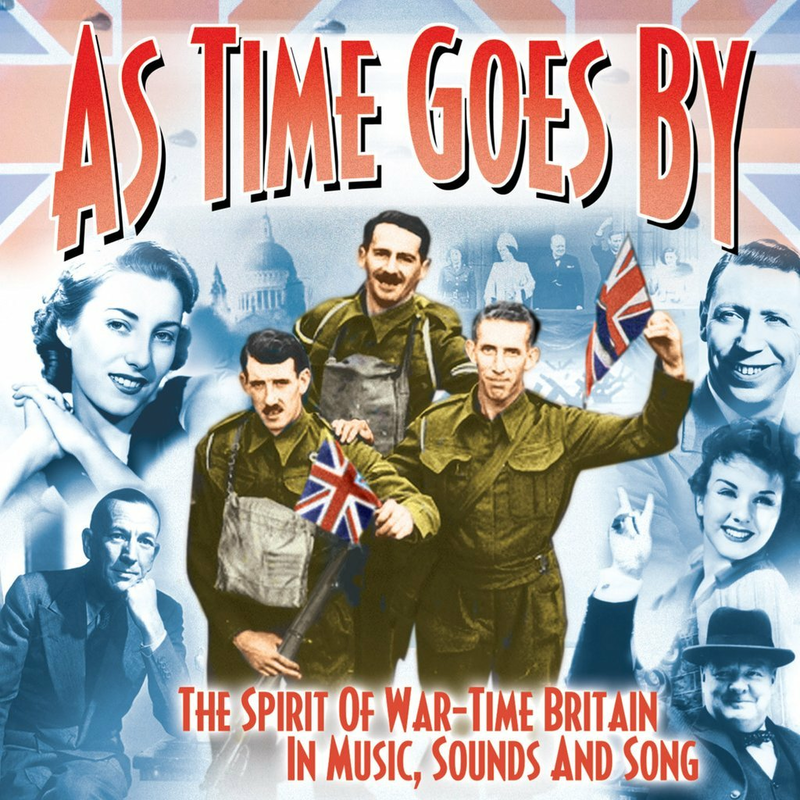 As Time Goes By - The Spirit of Britain in Wartime Music!